MHC's very own health screening medical centre -- MHC Medical Centre (Amara) is a one-stop executive health screening medical centre equipped with X-rays, Mammogram, Ultrasound, Treadmill and other facilities. Patients can now have their health screening done in a relaxed spa like ambience. This video takes you through a virtual tour of the medical centre. At MHC, we understand that early diagnosis allows for early intervention. And early treatment provides better overall outcome in disease management. That is why, we have a wide selection of EHS (Executive Health Screening) packages to cater to the needs of your employees. Conducted in a spa-like ambience, our health screening programmes are designed to assess your overall state of health. You will also receive a personalised health screening report which our doctors will personally review. When was the last time you did your health screening? Prevention is always better than cure — employers who want to make sure their employees are leading healthy, productive lives both in and out of the office have long encouraged routine comprehensive health screens. Here are 5 screening tests that should be incorporated into every company’s screening program. When it comes to heart disease, there is strong evidence that blood pressure screening is a superb test. It is practically free — once you have an automatic blood pressure machine in the office. Heart attacks and strokes are strongly correlated to an unhealthy blood cholesterol reading. And it is extremely common — you will be surprised how many ‘lean and trim’ employees suffer from high cholesterol because of an unhealthy 'Singapore diet'. Given how treatable the condition is, early detection allows early preventive efforts to avoid the dreaded consequences associated. Type 2 diabetes is on the rise all over the developed world. 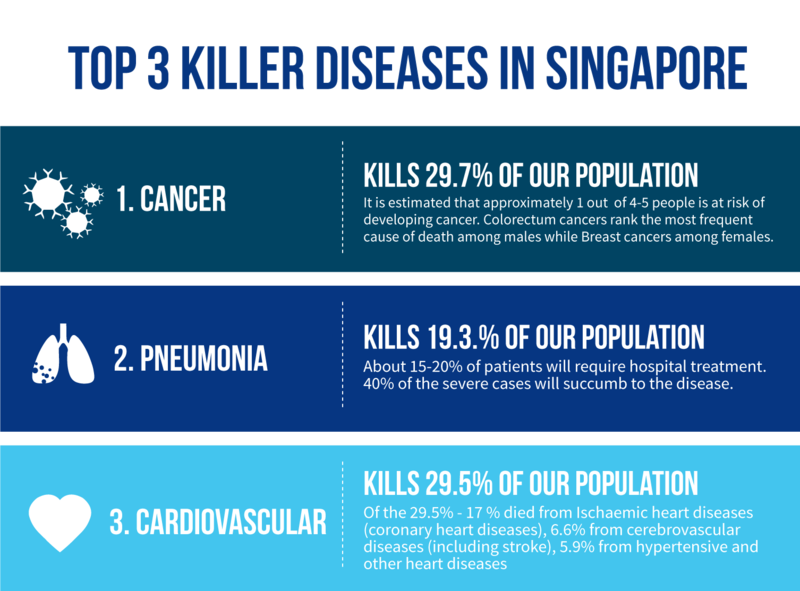 1 in 9 Singapore adults are estimated to succumb to the condition in their lifetimes — common enough for the Prime Minister to wage war on the disease during the National Day Rally. Failing to detect and treat diabetes promptly may result in a slew of complications, including kidney failure, blindness, and limb amputations. All it takes is a fasting blood glucose measurement — the gold standard test for detecting the disease. Anyone who has a family history or are overweight ought to be screened early. Worldwide, colon cancer remains one of the top killers for both men and women. And the condition does not just affect the elderly or individuals with a 'sensitive gut’. Most of us have heard of the dreaded colonoscopy recommended for individuals 50 years and above. But are you aware a simple stool test for occult-blood is just as recognised to detect colon cancer, not to mention much less invasive? As a non-invasive first-cut screening tool, the stool occult-blood test can be easily implemented in annual screening programs. Early detection of colon cancer has been shown to provide better prognosis and outcomes, ultimately saving your business some serious dollars in healthcare expenditure. WIth cancers accounting for almost 65% of the deaths in Singapore, it is of utmost importance that one should go for a yearly cancer marker screening to detect any early signs of cell anomaly. Early diagnosis and treatment are critical to effectively managing cancers.